A Pad Thai Sauce Recipe is a useful addition to any Asian food lovers kitchen repertoire! If you are into Pad Thai noodles, then making your own pad thai sauce from scratch is the next step to add value to your Asian food plate. Further below in this post, I explain what Pad Thai sauce is, what ingredients are used and how it’s made. With a short video and you can get the recipe instructions to save or print. What is Pad Thai Sauce? Pad Thai Sauce is a stir-fry sauce used to flavor the popular pad thai stir fry noodle dish from Thailand. The Pad Thai dish is prepared with flat rice noodles and besides the sauce, other ingredients are added. Egg, Tofu, and shrimp are popular Pad Thai Protein additions. The Pad Thai Sauce is thick and sticky, prepared with only a few handfuls of ingredients. Today in Thailand, Pad Thai Sauce is prepared with Tamarind Pulp, Palm Sugar, and Fish Sauce. These ingredients create the basic salty, sour and sweet flavor concoction which we love in our Pad Thai. The Sauce itself can be prepared during the Pad Thai cooking process. Yet, stocking up and making a bigger batch which will last for a handful Pad Thai dishes in the future and a few months, is totally worth it. It will speed up your cooking process and the flavors in the sauce will be already perfectly adjusted. This sauce includes 3 ingredients which are all the essential ingredients used in a proper Pad Thai sauce in Thailand. Anything else added to the sauce is a derivation or a so-called Pad Thai style sauce or a non-authentic Pad Thai dish. Not that I don’t enjoy these western style Pad Thai dishes, I love them, however, let’s just face it, for a basic Pad thai sauce you don’t need any other ingredients! The High Heel Gourmet explained this really well in her Pad Thai trilogy and she also shares some useful historical background and debunks some wrong beliefs surrounding Pad Thai. Her point of view regarding Thai food is in line with other Thai folks, which I met in my travels. To make this Pad Thai Sauce you will need to keep all the ingredients ready so to cook them to thicken the sauce and to kill all the germs. That way you will be able to store your Sauce in the fridge for a longer period of time. A proper Pad Thai sauce is a perfect balance of sweet, sour and salty. So, when preparing the sauce you need to make sure that these 3 tastes are completely balanced out. That means taste your sauce and if you feel it’s too sour add a tiny bit of sugar or fish sauce to balance it out. Repeat the taste test until you are satisfied. 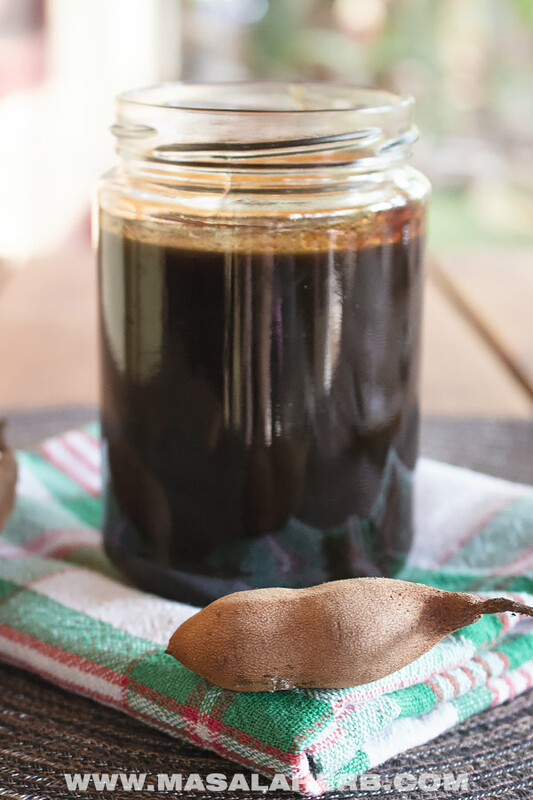 Usually, you don’t need to change the recipe if you use homemade Tamarind pulp. The sauce can be a bit sourer when you use store-bought tamarind pulp because they compress the tamarind all the more so the amount of tamarind used in the sauce can be a bit off. Just make sure to taste and you will be good! This Pad Thai Sauce is prepared in advance by making a bigger batch. Then the sauce is stored in clean sterilized jars and stored in a cool and dry place. That way the sauce can be stored for months in a fridge and you can take it out whenever you plan on preparing a Pad Thai meal. It speeds up your cooking process so that you can prepare the Pad Thai from scratch with fresh ingredients in a timely manner. I love using PFOA-free non-stick Sauce Pan pots to make this sticky Sauce. That way the sauce doesn’t stick to the pot. Thickening a Pad Thai sauce without non-stick pan can be challenging and that burns the sauce. 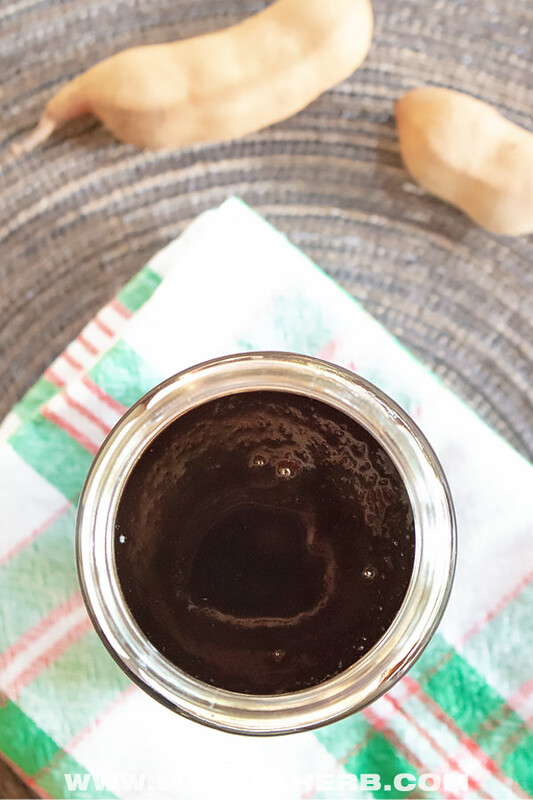 Make sure to always sterilize your jars/bottles by boiling in hot water or heating the glass and lid in the oven to kill all germs and use something like a canning kit to help you take out the hot jar and lid or to fill the jars. Use proper glass jars with lids such as these here or sauce bottles. The Lids should be new, don’t use rusted old lids, buy new lids if required. Pad Thai Sauce is prepared with 3 ingredients only: Tamarind paste, palm sugar, and fish sauce. The ratio is 1:1:1, which makes it easier for you to prepare this sauce in bigger or smaller quantities. You just need to make sure that all the ingredients are perfectly balanced. For example, when you use commercially available tamarind paste which is more compressed, the pad thai sauce can turn a tad sourer. In that case, you will need to adjust the sauce by adding a little more palm sugar and/or fish sauce. So make sure to taste test your sauce before bottling it up. To make the Pad Thai sauce from scratch use a PFOA-free non-stick saucepan, because you need to reduce the sauce and a non-stick pan won't burn the sauce. Add all the sauce ingredients to the pan and heat up. Let the sauce simmer on low heat slowly for a couple of minutes so that all the germs are killed in the heat. You can also cook it down further to a thicker consistency to save space in your fridge. I prepare my pad thai sauce to a honey-like consistency so that I can take out a spoon full easily. Use a clean sterilized jar or glass bottle and pour your sauce into the jar/bottle. Store in the fridge until further use in your Pad Thai weeknight dinner meal. To cook up a Pad Thai meal you can add about 3-4 tablespoons full (or as directed in the recipe) of Pad Thai Sauce to stir-fry in your Pad Thai with other ingredients. 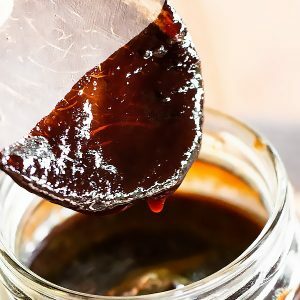 Try to use homemade Tamarind paste or organic tamarind paste made by Asians in your neighborhood. 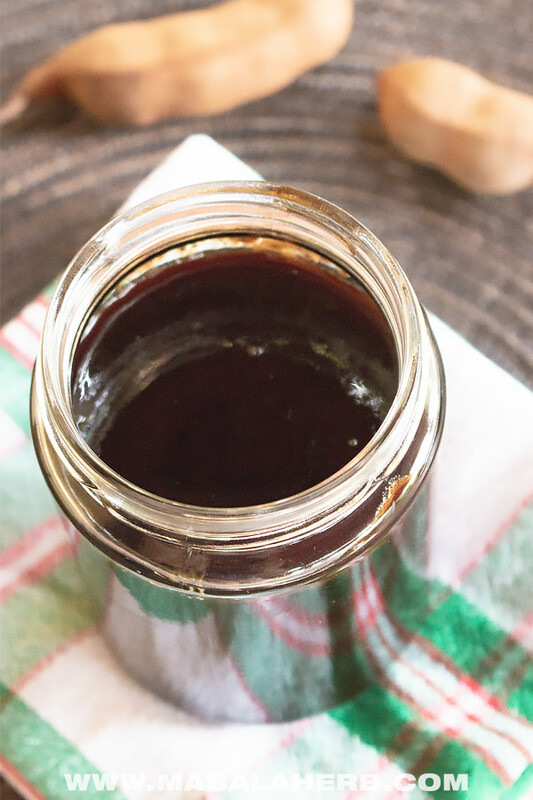 It's not that difficult to make tamarind paste from scratch and you will find it comes useful in many Asian, African, Caribbean, Mexican and South American meals. 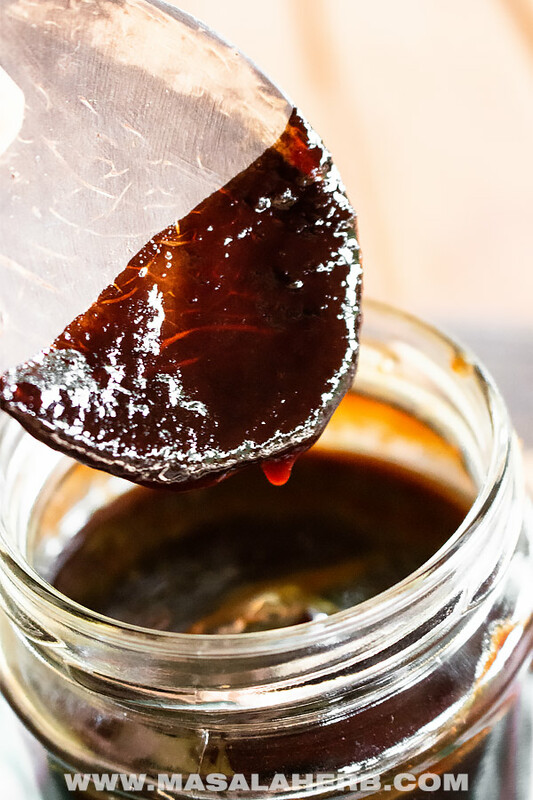 homemade Tamarind Paste is natural, store-bought stuff can contain all kinds of things besides Tamarind pulp and is usually more intense and thick. You can also buy Tamarind Paste. Try to use Palm or Cane Sugar instead of Brown Sugar for more flavor. You can use Asian Jaggery or South American Panela, Piloncillo or Rapadura. Try to use the ones which are powdered instead of the block. It's really hard to break those blocks of natural sugar! You can make this Pad Thai sauce vegan by using soy sauce instead of fish sauce. If you are not into a vegan lifestyle then I may suggest that you try to get and use fish sauce in this pad thai sauce as it gives an amazing flavor to the end result. Dear Reader, where did you get to taste your first Pad Thai meal? I had no idea it was so easy! May I give you a tip? To help the tamarind paste “slide” out of the measuring cup, rub the inside of the cup generously with an unflavoured oil! This tip work well with any sticky paste or liquid. Loving your rich and delicious Pad Thai sauce. We make pad Thai quite often so it would certainly save some time if I made up a double batch of your sauce. Just pinned! I love classic pad thai sauce but never even thought to prepare it myself! How fun! You’ve officially taken the mystery out of pad thai sauce! Looks so savory!!!! YUM! Hi, this may be interesting you: Easy Pad Thai Sauce Recipe - 3 ingredients [DIY]!